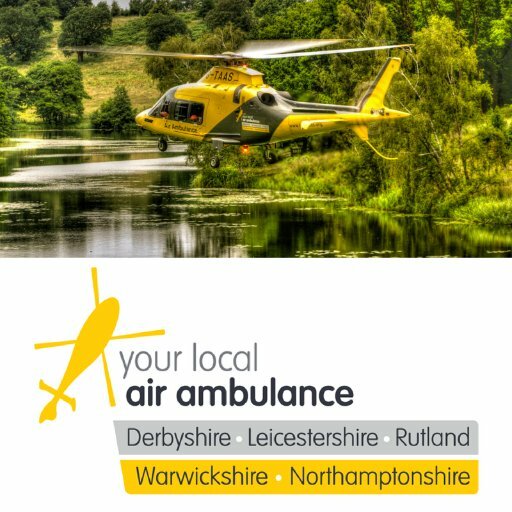 Warwickshire & Northamptonshire Air Ambulance (WNAA) Derbyshire, Leicestershire & Rutland Air Ambulance (DLRAA) These two helicopters provide a rapid response to trauma and medical emergencies over an area of 3850 square miles. They cover many of the UK’s major road networks including the M1, M6, M69 and M42. With an average response of just 13 minutes, between them they attend on average six missions a day.